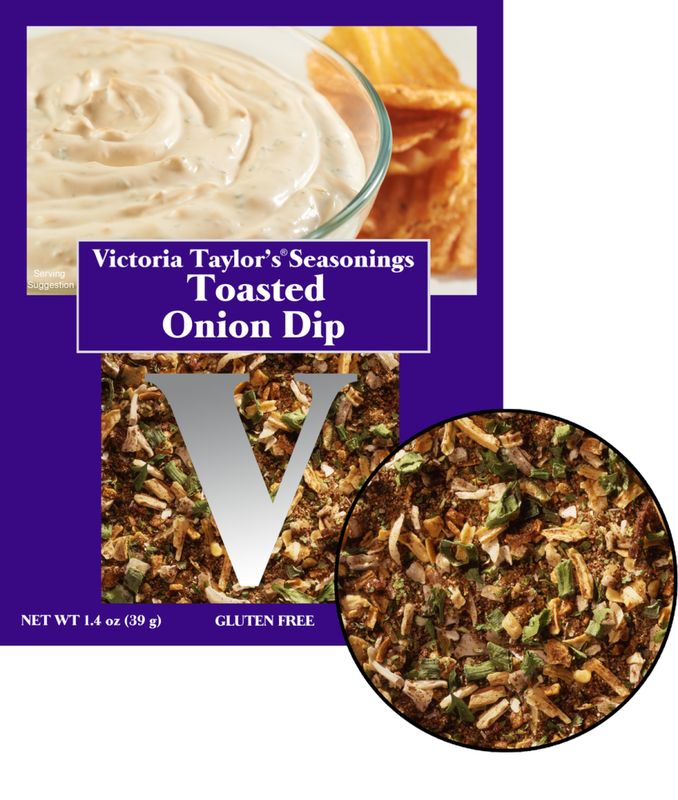 Victoria uses garlic and three different kinds of onions to give this seasoning its tangy and satisfying flavor. This is hands down the best onion dip you will ever eat. (We recommend using Hellman's mayonnaise for this recipe).This is a one time use packet designed to make the recipe for Toasted Onion Dip which is included on the back of the packet.